Adventure mode is all well and good, but Arena is for players who "just want to go out and blast things"
In the closing moments of my time with Arena, the new dedicated PvP mode in Sea of Thieves, my crew and I were floundering in last place. A chaotic skirmish in the shallows of a tiny island ended with most of us dead, our only surviving crew member marooned as our battle-scarred ship drifted alone towards the horizon. By the time we respawned and swung her back round towards the island, it had become clear that catching any of the four other teams was going to be like sailing into the wind. Literally. We collected our teammate and the pirate chests he’d managed to secrete on the island, but were still well behind our closest rivals. 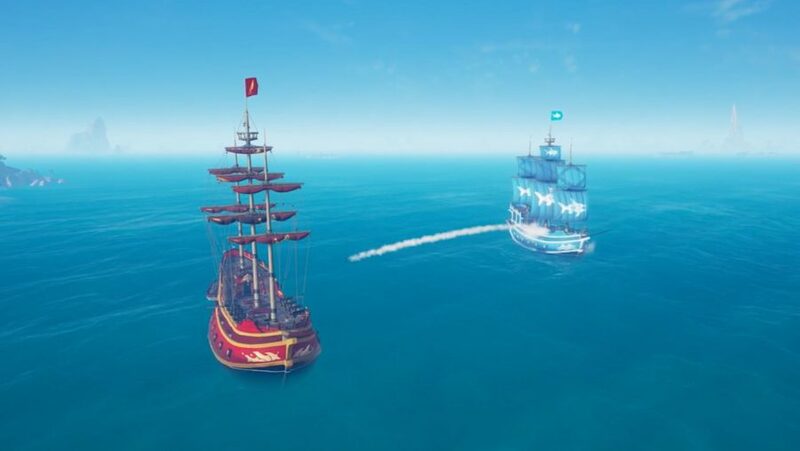 With just minutes to go until the end of the game, we’d have to take our bounty to one of the treasure ships scattered across the map if we wanted to avoid a crushing defeat. The good news was that one such vessel was close by. The bad news was that we’d be heading directly into a gale in order to get there, and the clock was ticking. We pointed the bow of our ship at our destination and directed the sails in order to pick up even the faintest puff of wind. As the galleon crawled forward, it looked as though we weren’t going to make it in time. In a last-ditch effort, three of us grabbed a chest, loaded ourselves into the cannons, and fired ourselves towards the treasure ships, landing close enough to scramble aboard and cash in our haul. Phew! For all our efforts we manage to catapult ourselves into the lofty heights of fourth place mere seconds before the game ended. The mode is heading to the game as part of the Anniversary Update later this month, and is an attempt to distill the highlights of Sea of Thieves. At the start of each game, five four-person galleon crews will be presented with a series of treasure maps that relate to islands scattered across a limited section of Sea of Thieves’ world. Uncovering treasure will net you points, and cashing it in will reward you with even more, but if you prefer to just cause chaos, that’s a valid strategy too. Hitting enemy ships offers a few points every time you send a cannonball crashing through the hull, and a ship that’s consigned to the briny deep will lose a massive chunk of the points it’s accrued so far. Rare's pirate odyssey is a joyous swashbuckling adventure, but like many things, it's best enjoyed with friends. The nature of the new mode means that many aspects of the game have had to be overhauled. 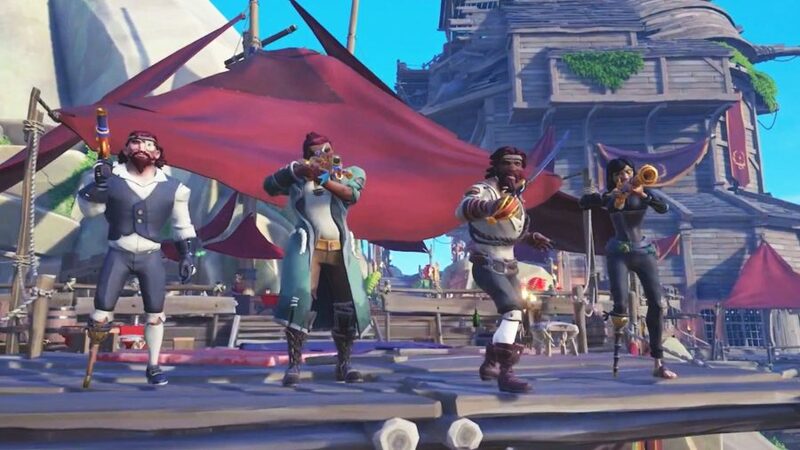 Sea of Thieves is traditionally a cooperative experience that lasts several hours (Rare is doubling down on this aspect with the addition of Tall Tales) while Arena is hyper competitive and plays out over just 24 minutes – the length of one in-game day. During my hands-on time, executive producer Joe Neate tells me that “every single thing” you come across in Adventure has needed retuning or rebalancing for Arena. To make things as fair as possible, events like Kraken attacks are out, and you won’t find resources floating past or skeletons guarding those all-important treasure chests. Despite all those changes, the magic of Sea of Thieves hasn’t been lost – there’s still room for stories to emerge, but now the stakes are higher, and a greater sense of tactical urgency pervades the entire experience. It’s a mode where alliances are made and broken on the fly as crews band together to take down an opponent – before turning on each other when it’s time to claim the spoils. Where a concentrated cannon-barrage can be just as effective as a cunning treasure hunter. And where the final moments of a game can be decided by the fickle nature of the winds.